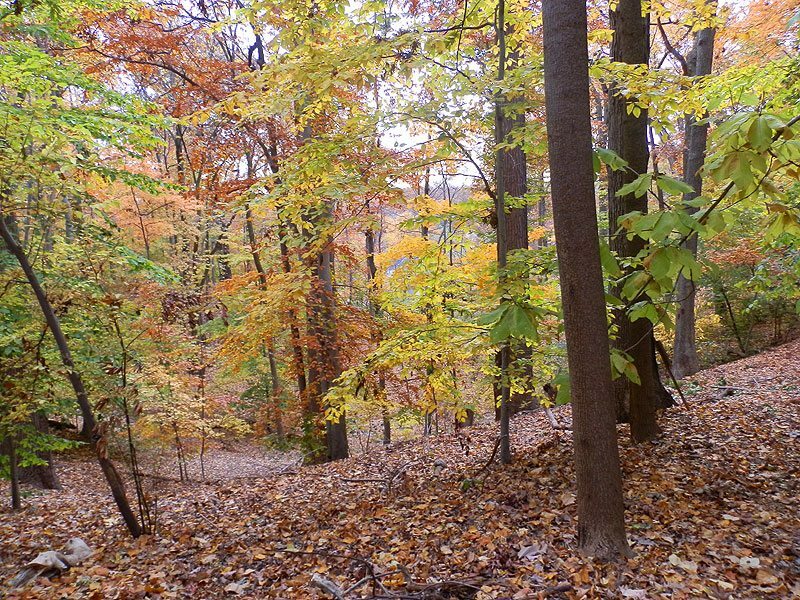 Here at the Cora Hartshorn Arboretum we are working to restore our 16-acres of woodlands. When restoration began in 2000, the site was basically a degraded woodland. Thanks primarily to the efforts of dedicated volunteers, the Arboretum is moving toward our goal to restore and sustain healthy, diverse woodland where native trees, shrubs, herbaceous plants, and native fauna can flourish. The restoration we are doing at the Hartshorn Arboretum in partnership with the Township of Millburn is a kind of demonstration project: teaching by doing the actual work. We know this kind of work is a slow process and progress will only come with effort. In our 16-acre woodland restoration project, the Hartshorn Arboretum is demonstrating ecological restoration practices we hope will bring favorable results and help us achieve our goal, which is to restore and sustain a healthy, diverse woodland where native trees, shrubs, herbaceous plants, and wildlife can flourish.